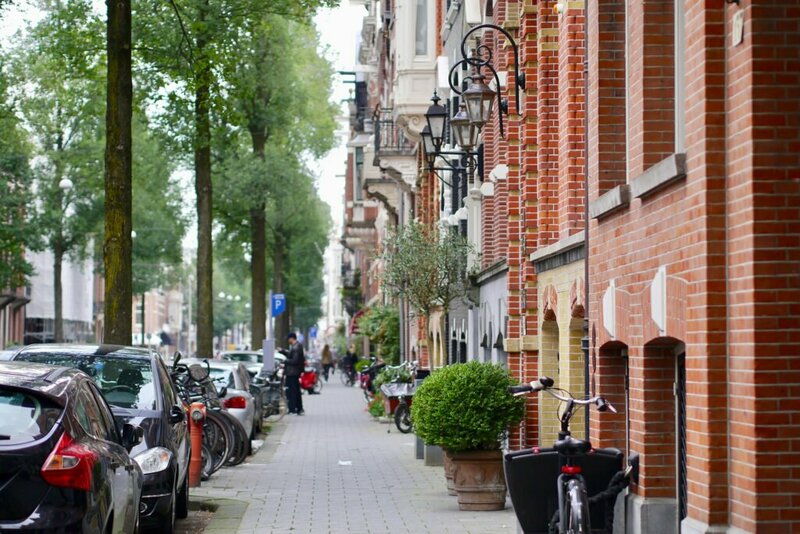 Is renting in Amsterdam a piece of cake? I receive questions about renting in Amsterdam often. I am no expert in this matter, but I try to help by sharing my experience and what I’ve learned so far in the years of living here. Anyone who has ever tried to find a place for rent in Amsterdam would agree that it’s a complicated adventure. The market is saturated with people wanting a home in this beautiful (but not big enough) city. The good places seem to be more rare than a snow leopard; just when you think you have a glimpse of them, they’re already gone. Sometimes I think there should be mandatory training offered to all expats about this house hunt. It doesn’t matter if you look for a room or a family flat, it’s a difficult task on your hands. But don’t despair! It’s a lot of work and you need certain skills for it, but it’s definitely not impossible. You need marketing skills (to promote yourself), financial and real estate knowledge (to not get ripped off), people skills (to be able to separate the scams from the real ones) and a lot of patience. Once you start looking for a place, you will start to develop all these skills, for sure. You will be amazed to discover your hidden talents in all of the above. I only had to look for a place to rent twice (lucky me!) and every time I was overwhelmed. Apart from the shortage of places, there are so many things you need to know, so many details to consider, not to mention the language (I have friends who had their first Dutch lesson looking for a house). Finding my first place took me a month of work, countless emails and phone calls, help from my work colleagues and friends, and it probably left me with some extra grey hairs. But soon after I started my search, I created a daily routine without even noticing and I quickly learned how to read and interpret the advertisements. In the end, I was lucky enough to find a beautiful, cosy studio close to work, because the owner of the place could relate to my situation and chose me from the other applicants. It was one of those moments when being open and honest benefits you. The second time I had to find a place I already knew what I had to do, but the the city was more crowded then. I was saved by a friend renting their place, being lucky once more. Looking for a place to rent is like having a second job for a while. The first thing you do when you wake up is to check all the new advertisements. I remember I had one file with all the websites that were useful to me and I would check all of them, one after the other. It was time consuming and I would have loved to have them all in one place, in a search aggregator like Nestpick, which didn’t exist at the time. Luckily, it’s here now and it can be used not only for Amsterdam but also for other cities in the Netherlands (and the world). Instead of checking multiple websites you just check one. The apartments and rooms are nicely shown on the map, which makes it easier to locate them, and when you click on the ones you are interested in, you are redirected to the renting company’s website. Maybe they don’t have all the renting companies on this map, but it drastically reduces the amount of websites you have to check. Now let me share with you a few things I think everyone should know when looking for a place in Amsterdam (or other cities in the Netherlands). Again, I am not an expert and there are many things you need to learn when you start on this path, but I will only limit myself to a few that I consider more important. Inform yourself. Don’t jump in with your eyes closed. Read all you can and ask around before you start your search. If you don’t trust yourself, hire a makelaar (real estate agent). Have a clear image of how much you want/can spend. It’s very important to find a property where you will feel at home, but sometimes money can be an issue, and in those cases you have to think how you can still get your dream house. Maybe you will have to reconsider the area, or looking for unfurnished instead of furnished, there are always solutions. Keep in mind that you will need to have a big amount of money in the beginning: in most places you will be asked to pay the first month rent, one or two month’s deposit and one month commission to the rental agent. That’s a lot of money! Also, when considering a price, always check if it’s “all-inclusive” or not. That means if either all the expenses (gas, electricity, cable) are included in the monthly rent or you will have to pay them separately. The local taxes, however, are never included in “all-inclusive”. If it looks too good to be true, it’s probably a scam! Be very careful when you contact someone for a place: NEVER send money in advance! The most common scam is the one offering a nice apartment for a good price, but you are required to send a sum of money in advance and then wait for the key/contract to arrive in the mailbox. The emails you get from these people are elaborated, with many explanations, usually the story they tell is that they live in another country and want to rent the place to someone they trust (sic!). They will ask detailed questions about yourself. You can have a chat with them if you have nothing better to do, but don’t send any money! However, if you’re checking only serious renting companies, this shouldn’t be a problem. The scams are an issue if you search for your place on Craigslist or Facebook groups. Have your documents ready. You might have to provide payslips, so better to have them ready instead of wasting time printing them when you found the house of your dreams. Be prepared to be interviewed: some owners organise job-like interviews to see which one is the best candidate for the house. If you are looking for a room, you can expect to have this interview with the existing roommates. Be patient and don’t give up finding the perfect house. I think that especially when you are moving to a new country, you should live in a house you like, an area where you feel good. This will help you feel at home more easily in your new city. Don’t limit yourself to Amsterdam! There are many beautiful places to live in a half an hour range by train from Amsterdam and commuting is easy in this country. I was invited to write this article by Nestpick, a search aggregator that helps expats, travellers and students find mid to long term rentals in more than 30 cities around the world. All the opinions expressed here are my own.